Network Embedding is an effective and widely used method for extracting graph features automatically in recent years. 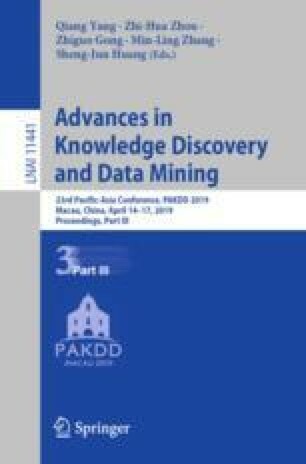 To handle the widely existed large-scale networks, most of the existing scalable methods, e.g., DeepWalk, LINE and node2vec, resort to the negative sampling objective so as to alleviate the expensive computation. Though effective at large, this strategy can easily generate false, thus low-quality, negative samples due to the trivial noise generation process which is usually a simple variant of the unigram distribution. In this paper, we propose a Ranking Network Embedding (RNE) framework to leverage the ranking strategy to achieve scalability and quality simultaneously. RNE can explicitly encode node similarity ranking information into the embedding vectors, of which we provide two ranking strategies, vanilla and adversarial, respectively. The vanilla strategy modifies the uniform negative sampling method with a consideration of edge existance. The adversarial strategy unifies the triplet sampling phase and the learning phase of the model with the framework of Generative Adversarial Networks. Through adversarial training, the triplet sampling quality can be improved thanks to a softmax generator which constructs hard negatives for a given target. The effectiveness of our RNE framework is empirically evaluated on a variety of real-world networks with multiple network analysis tasks.